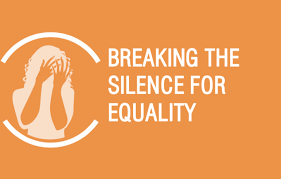 Violence against women is a global problem that crosses cultural, geographic, religious, social and economic lines. It is one of the most prevalent forms of human rights violations, and it deprives women of their right to live fulfilling social, economic and political lives. Violence against women causes a myriad of physical and mental health issues that span generations, and in some extreme cases, it can result in the loss of life. Understanding the magnitude and trends of violence against women, as well as its root causes and consequences, is key to effectively addressing the problem at the individual, community and national levels. However, up until recently, very little was known about the actual prevalence and patterns of violence against women, especially domestic violence, in Mongolia. For the longest time, authorities depended only on the number of reported cases of domestic violence to estimate its prevalence in the country. But in most societies, including Mongolia, domestic violence is still surrounded by stigma and many incorrect notions, and so many cases go unreported. To address this crucial gap in information, the United Nations Population Fund (UNFPA) in Mongolia, together with the national government and the Swiss Agency for Development and Cooperation (SDC), initiated the first ever nationwide study on gender-based violence (GBV) in the country. This is an important first step in a comprehensive four-year endeavor to combat GBV in Mongolia by strengthening national capacity for GBV prevention and response. With this study, policies and projects addressing GBV can be planned, developed, implemented, monitored and evaluated based on accurate data. The nationwide study uncovered a multitude of issues and information on GBV in Mongolia, including the prevalence, forms, causes, risk factors, and effects of GBV. The study combined quantitative data based on the methodology developed by the World Health Organization for their Study on Violence Against Women, together with qualitative data based on methodologies used in other countries. While these borrowed methodologies and survey instruments were revised according to the nuances of Mongolian culture and context, adopting internationally used methodologies allowed for international comparisons and a solid substantiation of the indicators and targets of the Sustainable Development Goals. Given the ambitious scale of the project, UNFPA deemed it fit for the Mongolian National Statistics Office (NSO) to implement and manage the study. After all, as a government agency, their resources are already available for mobilization throughout the country. UNFPA provided extensive technical support to NSO, bringing in experts both from the UNFPA Mongolia office as well as its Asia-Pacific Regional Office. These experts guided NSO every step of the way – from developing the survey and planning its execution to enumerator training, from data analysis to report writing. For the quantitative component of the study, a population-based household survey covering all 21 provinces of Mongolia and 9 districts of the capital city of Ulaanbaatar was implemented from May to June 2017. A total of 7,920 women (98% response rate) aged 15 to 64 years old were selected using a multi-stage sampling strategy to take part in face-to-face interviews for the survey. They represent all women aged 15-64 years old in Mongolia. UNFPA and NSO also took extra measures to ensure that these women spoke candidly so that the study may accurately represent the true GBV situation in the country. The interviewers, who were all women, underwent an intensive three-week training to learn to collect information in a safe and sensitive way. The interviewers also referred to the study as “Women’s Health and Life Experience” to protect the interviewees and to encourage participation especially among households where GBV takes place. To supplement the quantitative data, UNFPA and NSO added a qualitative component that is unique to Mongolia’s GBV study. A third-party research consulting firm was engaged to conduct a battery of qualitative methods to explain and validate the numerical results and to uncover details about the experiences of Mongolians in a way that the quantitative survey could not. Overall, 87 in-depth interviews, 59 key informant interviews, and 64 focus group discussions were conducted among not only women, but also the LGBTQI community, men, the elderly, and people with disabilities. Combining the qualitative and quantitative methodologies produced a study with robust results that were analyzed in a more comprehensive and nuanced way. The study revealed the prevalence of the five forms of violence against women – physical, sexual, emotional, and economic violence as well as controlling behaviors – perpetrated by both partners and non-partners. The data was segregated by age group, province, urbanity, educational level, employment status, and partnership status. Additionally, the study also looked into the specific kind of violent acts per type of violence, as well as the underlying toxic beliefs and attitudes toward gender and relationships that contributed to the prevalence of GBV. With the publication of the nationwide study, a communications campaign was launched to raise awareness about these statistics; the results were published in both English and Mongolian, multimedia content was produced, events were staged, and the raw data was made available to the public for free for their own analysis. However, the numbers revealed by the study were staggering that conversations were forced among stakeholders. 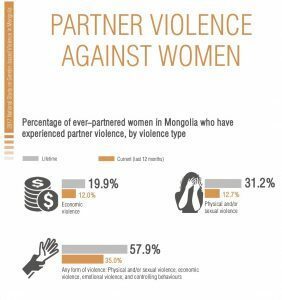 The survey showed that that more than half (57.9%) of Mongolian women experienced one or more forms of violence in their lifetime, and one in every three (31.2%) experience sexual or physical violence in their lifetime. More worrying still is that more often than not, the abuse is committed by their partner. These numbers were much higher than expected, and both government officials and the general public alike were forced to pay attention to what used to be the silent suffering of many. Longtime advocates of gender equality and the fight against GBV finally had the right data that can be used not only to create more relevant and better targeted initiatives, but also to persuade stakeholders, especially the national government, to invest resources in combating GBV. Guided by the results of the study, UNFPA Mongolia, together with the national government and the SDC, was able to pinpoint ten locations for One Stop Service Centers, i.e., establishments that provide survivors of GBV with accommodations as well as health, psychological, legal, counselling, and protection services. These locations were chosen primarily on the basis of highest GBV prevalence rates compared to the national average, but with consideration given to geographical and population balance. The high prevalence rates revealed by the study coupled with the tireless advocacy work of UNFPA and civil society actors convinced provincial authorities to invest financial and human resources toward GBV prevention and response in their territories. 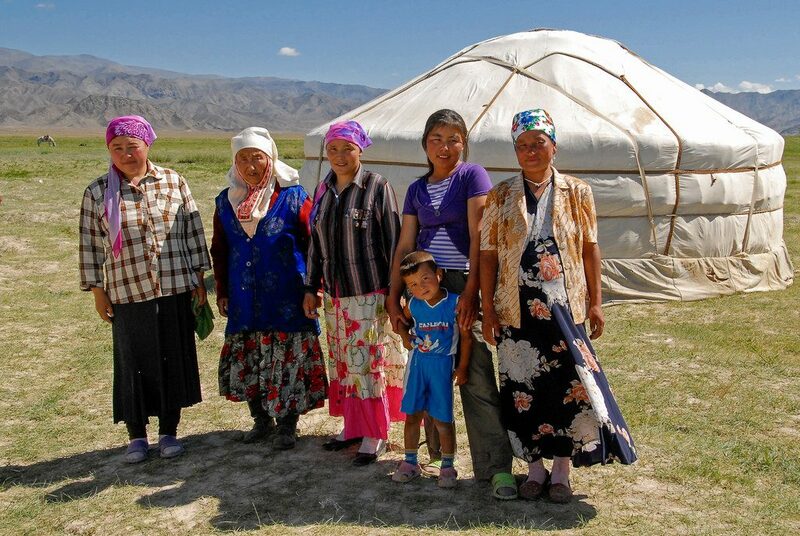 In 2018, 560 million Mongolian Tugriks (approx. USD 210,000) was invested by provincial governments toward the construction and operations of these One Stop Service Centers. This amount is almost double the amount spent by the Mongolian government in the last five years combined. Beyond these initiatives, the results also proved useful for UNFPA and its implementing partners for behavior change campaigns. The data segregation allowed UNFPA and the Government of Mongolia to identify the most vulnerable demographics to target, while identification of the root causes of GBV guided the development of relevant and data-driven messages, particularly for campaigns that sought to educate the public about life skills and healthy relationship behaviors that can help them avoid and escape GBV. With all the initiatives spurred toward combating GBV in Mongolia since the release of the landmark nationwide GBV study, its important role in the advocacy work to raise awareness and garner stakeholder support cannot be ignored. In fact, UNFPA is working closely with NSO and other key government ministries to amend the National Statistics Law to include the regular conduct of a nationwide GBV survey to better guide and monitor the work put into combating GBV in Mongolia in the coming years. Mongolia may still have a long way to go in the path toward eradicating GBV, but with reliable data, innovative solutions, and the untiring advocacy of many, there is surely hope that someday, we may have a violence-free society where the rights of women, children and men are respected and protected. 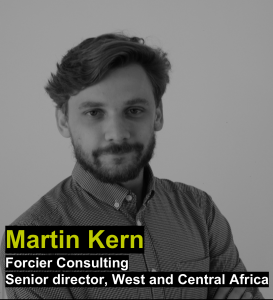 The 4th and last webinar of the “What different Qualitative Approaches can be used to achieve various objectives?” series brought some insights into a very delicate and political topic – corruption in voting behavior in Kenya. Emanuel, Astrid and Barbara shared their current experience around a qualitative research in progress on voter integrity in rural Kenya. Everything will be okay in the end. And if it’s not okay, it’s not the end. This is the attitude that has been driving our research case for the past 15 months. And having the opportunity now to present it to the international ESOMAR Foundation community was, without doubt, a very bright moment for us. 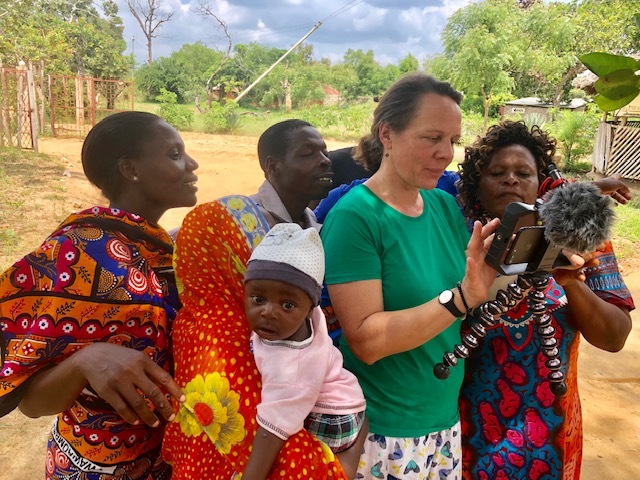 The presented research project „Concepts of democracy in rural Kenya“ – conducted by QMR – Qualitative Mind Research, Munich – is one module of a whole story. 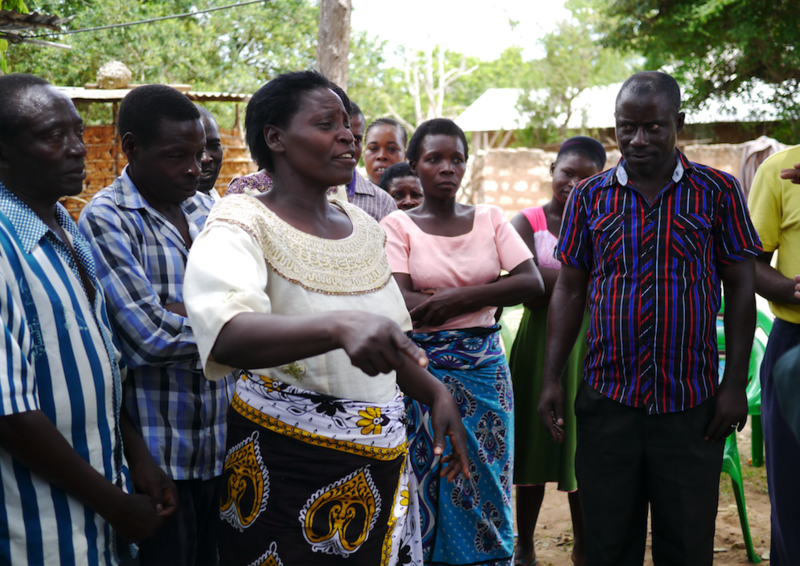 This story started with the Kenyan general elections in August 2017, in which Emmanuel Karisa Baya ran for the seat of a local representative (MCA) to make a change in his hometown in the hinterland of Malindi (North Coast, Kenya) struck by extreme poverty, long droughts and the effects of HIV. Against all expectations and broad support in advance, Emmanuel lost the election. A first review made clear that massive buying and selling of votes and bribery was one central reason for this defeat – a common practice in all counties of Kenya. Quantitative research indicates that 56 % of Kenyan voters have ever received a bribe from a political aspirant/candidate. The community-based initiative “Peace from the Soil” was founded due to the impulse of taking action against corruption and bribery by developing a civic education program for rural voters. 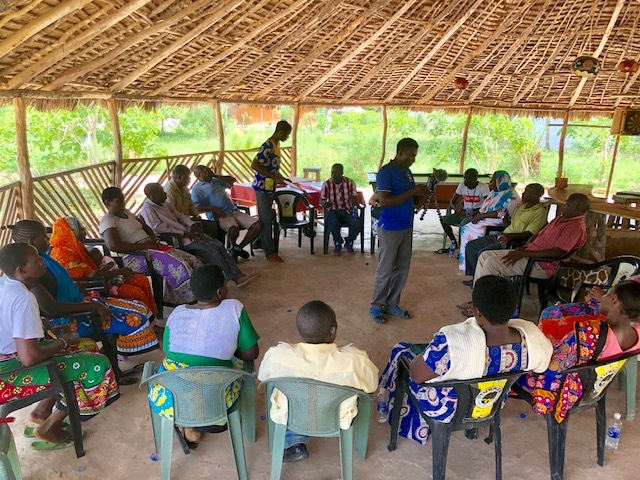 Emmanuel and the whole team felt that a better understanding and insights of voters´ attitudes, worries, and hopes in rural Kenya is needed as a basis for the training program. QMR – Qualitative Mind Research was requested by Peace from the Soil and its´ founder Emmanuel to conduct a qualitative survey. The research flanks the whole ongoing process of the democratic development project to deliver insights where needed. During the campaign, election, the setup and foundation of “Peace from the Soil”, our research methods were mainly participating observation and facilitating Focus Groups, which led to first results on bribery during the election and first hypotheses on underlying belief systems of voters in rural Kenyan areas. 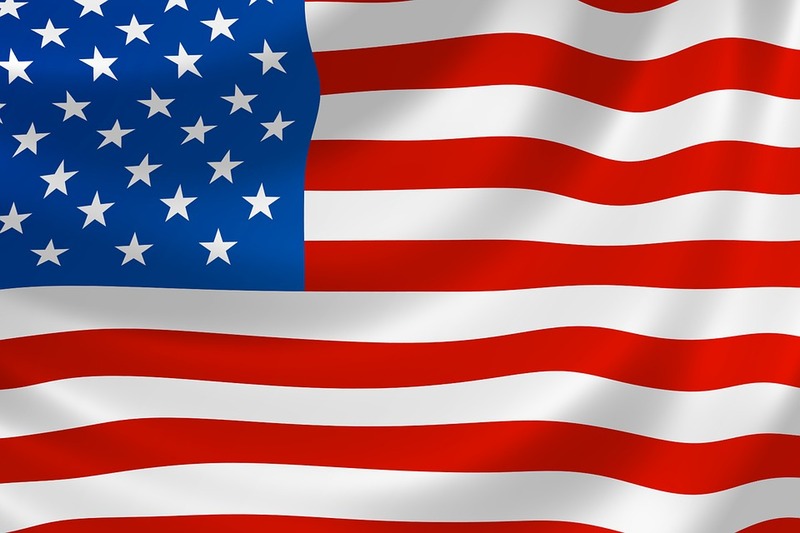 Phase 2 of the research shall deliver input for the planned civic education program. From January we will be conducting 20 paired in-depth interviews (IDI‘s) at five different locations in Marafa Ward. Of course, this will be a kind of experiment and the next step in our learning process, because a setting like this is not common in rural Kenya until now. 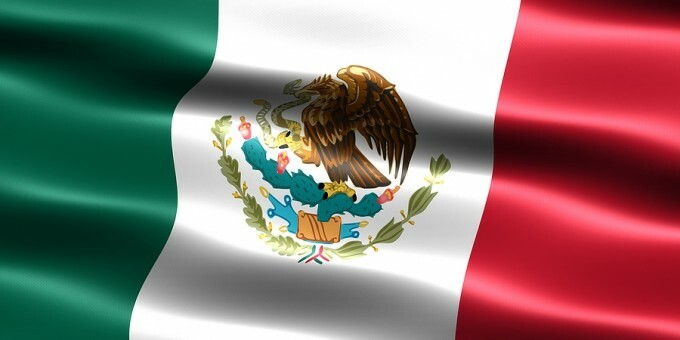 In each IDI setting we will have two respondents that know each other already (=40 respondents) and in addition the interviewer and the interpreter. Recruitment of respondents strives for a broad diversity (Age, educational level, gender, profession groups, residence, political preference). A potential third research module might evaluate the training program later. Stay tuned for first results and insights from the qualitative fieldwork in this challenging setting in one of the ESOMAR Foundation 2019 communication.. because as John Lennon once said….! 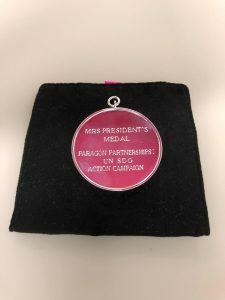 14 December 2018 – Paragon Partnerships, supported by ESOMAR Foundation, won the MRS President’s Medal which is awarded annually to an organisation that has conducted extraordinary research but who might not be recognised through the usual channels. Paragon Partnerships was launched in 2016, by Stan Sthanunathan of Unilever, in response to the UN’s 17th Sustainable Development Goal (SDG) – the call for private sector partnerships to help the UN achieve the Sustainable Development Goals (SDG’s) by 2030. The programme calls on the private sector to help the UN achieve its SDG’s by 2030. The UN SDG Action Campaign, along with Paragon Partnerships member Kantar Public, developed and tested a question library of almost 100 SDG questions. 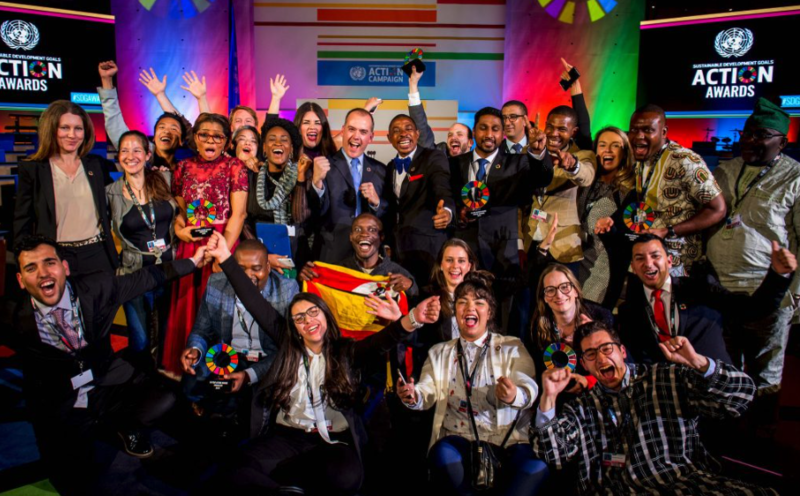 This huge project constituted the first step to enable countries to measure their journey to the accomplishment of the SDGs in a consistent way. Data from the library was presented at a UN High-Level Political Forum in July 2018 and is also publically available for any government organisation or NGO to use. Read more on Paragon and its relationship with the ESOMAR Foundation. The UN SDG Action Campaign is an inter-agency special initiative of the UN Secretary-General to scale up, broaden, and sustain the global movement to take action for the SDGs. The UN SDG Action Campaign aims to mobilize and inspire individuals and organizations to take action and join the global movement for the SDGs, while connecting people’s actions and perceptions with decision makers in SDG planning and review processes at all levels. 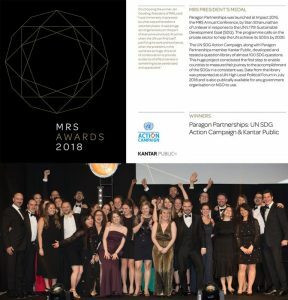 Paragon Partnerships was launched at Impact 2016, the MRS Annual Conference, by Stan Sthanunathan of Unilever in response to the UN’s 17th Sustainable Development Goal (SDG). The programme calls on the private sector to help the UN achieve the SDGs by 2030. The Market Research Society (MRS) is the UK professional body for research, insight and analytics. MRS recognizes 5,000 individual members and over 500 accredited Company Partners in over 50 countries who are committed to delivering outstanding insight. As the regulator, they promote the highest professional standards throughout the sector via the MRS Code of Conduct. It was realised very early that the sustainable development goals cannot be achieved by any single organisation – even the UN! A successful sustainable development agenda requires partnerships between governments, the private sector and civil society. And these inclusive partnerships, built upon principles and values, a shared vision, and shared goals that place people and the planet at the centre, are needed at the global, regional, national and local level. Hence, Paragon is the initiative of the global market and social research industry sector, aimed at enabling Governments, Academics, the UN and NGOs around the world, which are working to tackle the 17-point plan of the UN Global Goals – end poverty, combat climate change, and fight injustice and inequality around the world – to connect with market, opinion and social research companies, which are committed to helping by providing access to quality data and insights on the issues that the world is facing. One of the really core objectives of Paragon is to help measure progress with the UN goals to not only keep governments and policy makers accountable, but also gauge how much we are getting closer to the targets so that new policy adjustments can be made – so, in 2017, an 11-country study was conducted online for the UN SDG Action Campaign, sponsored by the Paragon Members: Kantar Public and Lightspeed. As a result, a benchmark was successfully established for these countries to improve on as they continue their journey to meet the SDGs by 2030. In 2018 the UN SDG Action Campaign requested further support to measure progress with the 2018 priority SDG’s in targeted emerging markets where accurate measurement is only possible using representative random probability methodologies. So, Paragon, the Global Research Business Network (GRBN), and ESOMAR Foundation called for volunteer agencies in the selected countries to sponsor a survey for the UN. 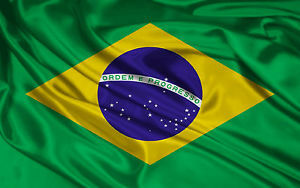 The survey was conducted in 3 countries Lebanon, Sri Lanka and Romania. Kantar Operations India analysed the data, and the presentation of the data was delivered by Kantar Public at UN HLPF (High Level Political forum) Meeting on July 13th, 2018. 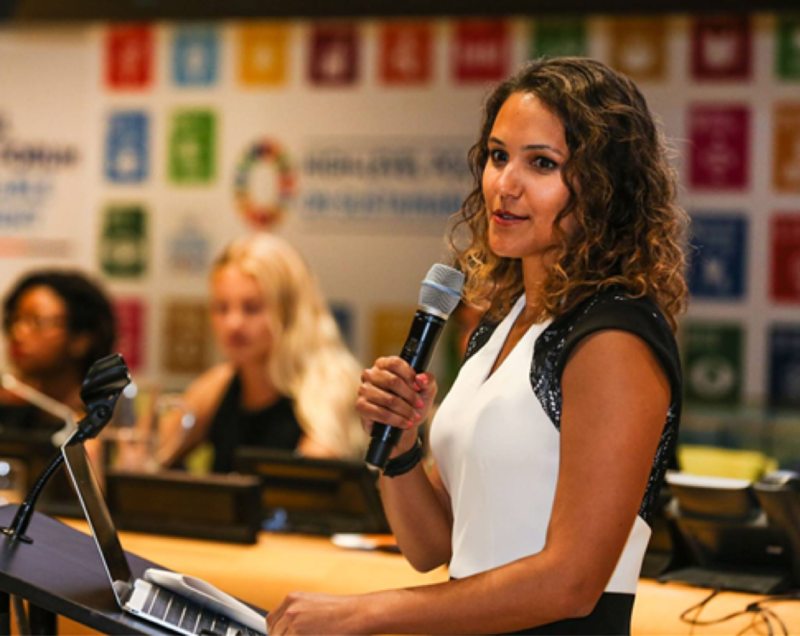 Jordan Robinson, Director for the Development Practice, Kantar Public, presents the 2018 study results at an event during the UN High Level Political Forum on Sustainable Development in New York. Subsequently the 4 agencies have been connected with local UN representatives and promoted and recognized by the UN SDG Action Campaign on their website and in social media etc. UN SDG Action Campaign has also made the data publicly available for any government organization and/or NGO to use. We are currently talking to UNSDG Action Group about the measurement programme for 2019, and helping to train UN volunteers in Interviewing skills. The measurement work is currently short-listed for the UK Market Research Society’s President’s medal – which is great – please do keep your fingers crossed for us. The other key initiative that we are involved in at this very moment is Understanding World Happiness – a project for the Sustainable Development Solutions Network (SDSN): This is about helping to find out the determinants of happiness in people`s lives through market research. We have been contacted by Prof. Jeffrey Sachs of Columbia University for a project to feed into his efforts around the “World Happiness Report”, and “Global Happiness Policy Report”, as published annually, with contributions from SDSN, which is headed by Prof. Sachs, and with input from several scholars, and research institutes and universities around the world. At the moment they are getting ready for the next publication of these reports(2020), and they would like to have the contributions of Global Market Research Industry, as represented by Paragon. We thought the best way to approach this would be through, first, making a desk research/rewind of all existing MR material on this topic, and we have already received lots of feedback from the Paragon partners about what already exists in this space. These will help us in wrapping our heads around what is available and also will help in the shaping of the new study. And then the second thing is finding a research vehicle to run the research on (it will be US based initially). We think we have identified a good random probability survey which is run by a Paragon Agency partner, but we will probably want to supplement it with some NLP, or qual, etc. And then we will put together a Paragon team to author the research results and the article/chapter in the next World Happiness Report. This will be quite a high-profile work that finds its way all around the SDG community globally. 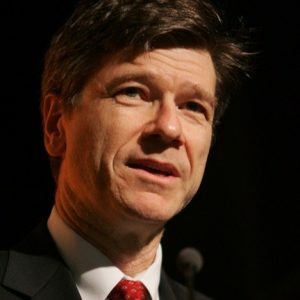 Jeffrey Sachs is one of the people with the most authority in this field. He is one of the world’s most renowned economists, as well as serving as Special Advisor to current and past UN Secretary Generals and he was the architect of the Millennial Goals. So it is a really exciting opportunity for us. Those are our 2 key initiatives of the moment – we are also looking at helping NGO’s with understanding social listening and data visualization, because they know that they need to keep up with the latest techniques and methodologies – but need to understand how it can work for them. A bit like the series of webinars we have run as ESOMAR Foundation to help NGO’s understand how qualitative research can help them achieve their objectives more effectively and sustainably. 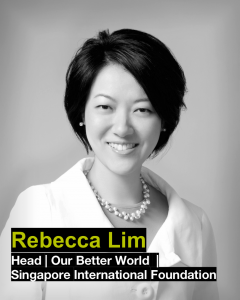 Telling stories of people doing good in Asia, to inspire the online audience to take action, became the mission of OBW. The initial years of OBW saw proof of concept when non-profits/social enterprises attributed part of their growth to the stories OBW told. However, the team believed that greater success could be unlocked through deeper understanding of the online audience. In Asia, there was no research in digital storytelling for social impact. Unlike in the US, where research is funded by large philanthropic organisations which believe in using media for good, the concept was ahead of its time in Asia. 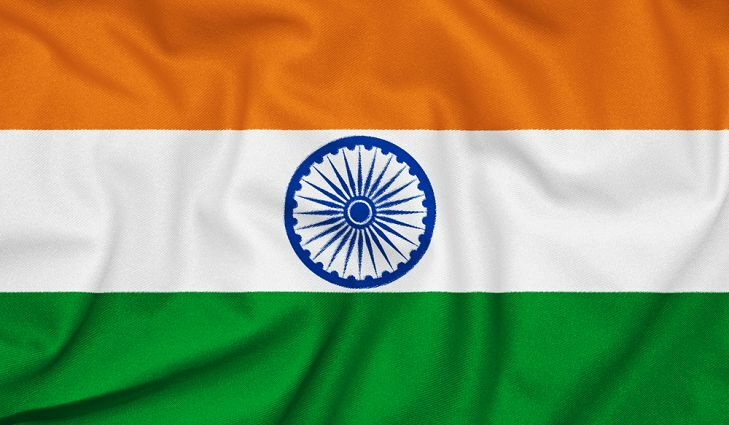 Primary research was needed to understand national psyches and uncover drivers of culturally and socially relevant story themes, to better connect with audiences across Asia. Only by understanding this, would OBW be able to nurture and grow an online community of action takers. 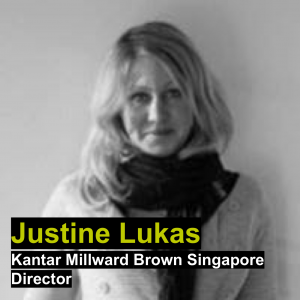 OBW approached Kantar to form a partnership to undertake this primary research. Given the lack of such research in the region, Kantar designed the qualitative research to be both wide and deep. A dual approach was developed: personal interaction on the ground, combined with the wide reach of digital – deployed in Singapore, Malaysia, Indonesia, India and the Philippines. Face-to-face interviews gave researchers insight on meaningful, emotionally-charged experiences among participants. Digital forums created spaces for dispersed OBW community members to gather and freely voice, evaluate and develop ideas, and tap into their hearts and minds. This approach fused exploratory, evaluative and projective perspectives in the analysis, enabling not just an understanding of current realities and their contexts, but also the building of deeper insights for future strategies. 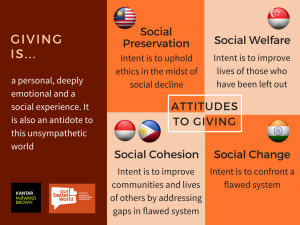 The research analysis decoded what “contributing to social causes” means for people, based on two attitudinal anchors: a personal, deeply emotional and social experience, and an antidote to an unsympathetic world. Furthermore, a spectrum of motivations in social contribution was identified – ranging from a desire to change (e.g. overturn atrocities) to a desire to enhance (e.g. improve lives and communities). In addition to the construct, a trigger to action was identified – the most effective stories were ones that evoked a combination of complex and intense emotions. Overall, this framework connected consumer motivations with storytelling, and provided OBW a much-needed formula for defining authenticity and meaning for impactful storytelling, spanning the production of videos to social media copy. The following examples highlight how research helped to meet this objective. India: Post research, OBW told a story about child sexual abuse, calling for social change and action, which saw 1,020 volunteer enquiries. This was a significant jump in impact compared to a pre-research story about animals, that, whilst heart-warming, lacked strong call for change, and resulted in only 105 volunteer sign-ups. Singapore: Post research, OBW told a story about a volunteer group helping to provide gowns for babies who pass away prematurely, garnering over 340 volunteer enquiries for the cause. The story focused on how volunteer actions have helped bereaved parents. A previous story which called for volunteers for a hospice, but angled on what the volunteers did, resulted only in 24 additional volunteers for the organisation. Research has helped empower OBW with confidence and a stronger base for compelling impact storytelling. The impact from applying the insights is increasingly evident. Beyond OBW, the findings are also applicable for non-profits/social enterprises in Asia. Organisations can use the insights to craft their own strategic communications to cater to different audience motivations, to drive more impact. OBW wants to play a catalytic role in spearheading research, applying insights for best-in-class digital storytelling for social good in Asia. What has been accomplished so far serves as a strong foundation for new partnerships and support, and OBW is now seeking further research investment to be made in this fast-evolving digital space. 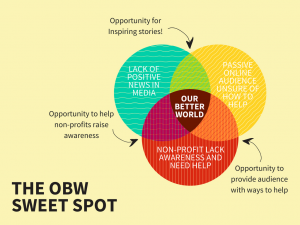 Not only would OBW apply fresh insights for better impact outcomes, it would also share them with the relevant sectors, contributing towards the media playing its role as a force for good. Diarrhea is the second leading cause of death among children worldwide. It kills mainly by causing dehydration. 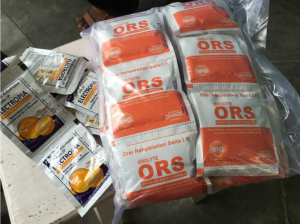 Fortunately, a simple, cheap, and scalable solution exists – the use of oral rehydration salts (ORS). Yet India sees more than 200,000 diarrheal-related deaths every year. Its most populous state, Uttar Pradesh (UP), accounts for a substantial portion of these. ORS is available and relatively inexpensive in UP, but surveys showed that only 30% of children with diarrhea in the state were treated with ORS. Why were children not receiving this potentially lifesaving medicine? 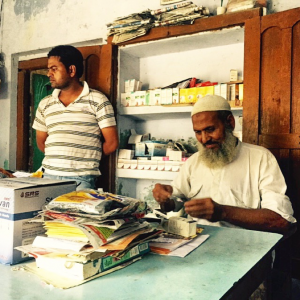 In Uttar Pradesh, India, 84% of caregivers of children with diarrhea seek care from rural medical practitioner (RMPs) – informal community providers who often lack medical training. Several organizations trying to tackle this problem hypothesized that improving RMPs’ access to ORS and informing them about best practices for treating diarrhea would significantly improve the uptake and use of the treatment. A statewide program was begun to provide ORS directly to RMPs at prices that would improve their profit margins. This was combined with training RMPs on how to prescribe the treatment properly. However, after three years of investment, levels of ORS use among children had not improved. 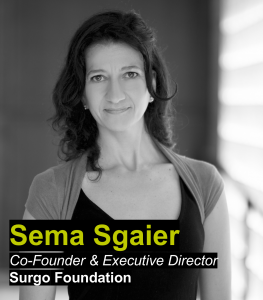 Surgo Foundation began working on the project with the aim of answering the ‘why’ – why ORS uptake was so low? Did families and providers understand the benefits of ORS treatment? Did RMPs have sufficient access to the drug to prescribe it? What else could be driving the low uptake of this critical drug? In the first phase of our work, Surgo analyzed and integrated insights from several surveys, including a state-wide, large-scale quantitative survey of caregivers and a “mystery client” survey. This enabled us to map and understand the ORS treatment “cascade” – each step along the child’s path from having diarrhea to visiting an RMP, being correctly diagnosed, receiving ORS, and using the treatment. Our goal was to see where the largest drop-offs occurred on the path to ORS use. The phase 1 research found that RMPs had ample access to ORS in the open market, which meant that the direct retailing of the product by NGOs was not filling the previously hypothesized gap. Surgo also identified a stark “know-do gap” among RMPs when it came to dispensing ORS to children with diarrhea. Around 80% of the RMPs knew they should use ORS, yet only 20% of children with diarrhea received ORS directly from RMPs. In essence, even though a majority of RMPs knew ORS was the right treatment, they weren’t prescribing it. These findings showed that the theoretical underpinning of the original project was not correct – lack of access to ORS and a knowledge gap among RMPs were NOT the main barriers to ORS use. In phase 2, we undertook ethnographic research with RMPs and their mentors, and with caregivers, to better understand the “why” of low ORS uptake. 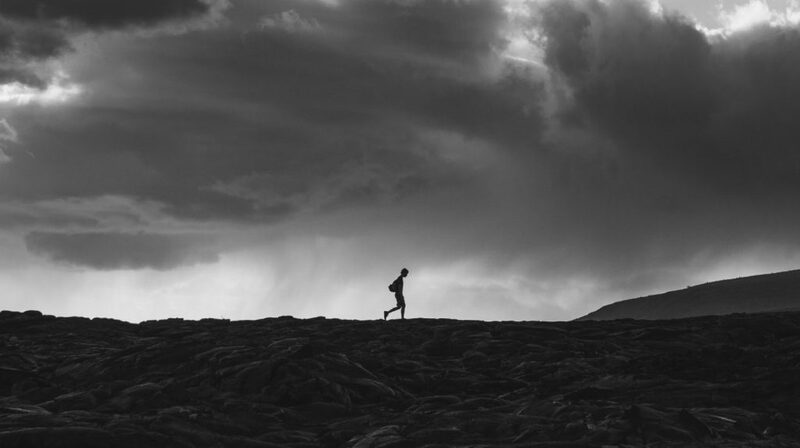 We aimed to capture their views, practices, motivations, and treatment decisions. Our research allowed us to develop hypotheses on the mental models, beliefs, and emotions of both RMPs and caregivers. We found that caregivers judged the effectiveness of a treatment by how quickly it provided relief to the child. This led them to prefer antibiotics, which relieve symptoms even though they do not treat the diarrheal condition. Caregivers also held strong beliefs about the efficacy of medicines based on what form they came in: powders were seen as least effective, pills, syrups, and injections as better, and intravenous drips as best of all. In sum, because ORS was a powder, caregivers didn’t perceive it as an effective treatment. These insights provided Surgo with a basis for our phase 3 research, in which a specially designed decision-making game incorporating behavioral-science concepts was used to identify and test the factors driving RMPs’ treatment decisions. We found that the behavior of RMPs was determined by a trade-off among three considerations: economic insecurity, the desire to make money, and the desire to provide the right treatment. Since people were unable to pay large sums to RMPs, there was fierce competition among RMPs to get as many patients as possible, and to retain their loyalty. This was where economic insecurity and the wish to make money came into conflict with prescribing the best treatment. In an effort to appear “expert” and meet caregiver expectations (and thereby retain their business), many RMPs focused on providing immediate relief for the symptoms of diarrhea. This meant prescribing IV fluids, injectables, and antibiotics – and avoiding ORS, even though this was in fact the correct treatment. Collectively, these strategies led to an increase in ORS uptake in UP from 30% to 50% in under two years. 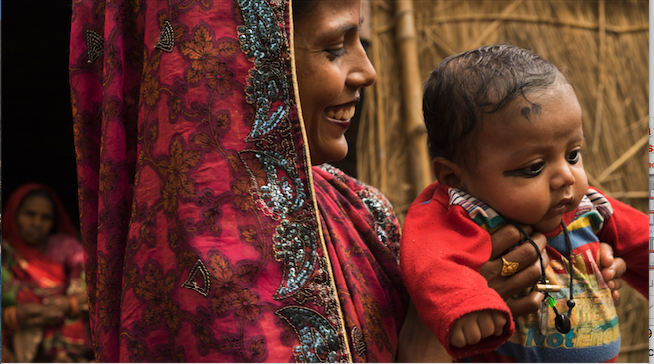 Our approach to getting a deep and nuance understanding of the ‘why’ before jumping into solutions has significant implications for diarrheal treatment and child mortality programs globally. This program was implemented in partnership with the Bill & Melinda Gates Foundation, which funded the ORS delivery program in UP, and the Clinton Health Access Initiative, which implemented it. The study was designed, led, and analyzed by Surgo Foundation. We thank Ipsos and Final Mile for their contributions to the research. Winner of the Best local/domestic NFP case study of our Making a Difference Competition. This project was carried out by Forcier Consulting on behalf of Catholic Relief Services D.R. Congo. Every month girls face an additional barrier to education: their period. For Forcier, studying the relationship between menstruation and education means more than just attempting to understand absenteeism. Our goal was to provide strong field-based evidence to NGOs, the DRC government and all actors in the health and sanitation field. We believe that good research must go far beyond simple statistics, which is why we always chose to adopt a holistic approach to data collection and analysis, which in this case includes extensive research surrounding community attitudes, beliefs, and hard to see implications. In 2017, Catholic Relief Services selected Forcier to accomplish one of the largest studies on knowledge, attitudes, environment, and practices regarding menstruation in the Democratic Republic of the Congo (DRC). The overall objective was to determine whether menstrual management practices have an impact on school absenteeism for girls, and to evaluate how the Congolese government’s “Healthy Schools and Villages” program, supported by UNICEF, can contribute in improving menstrual hygiene management. 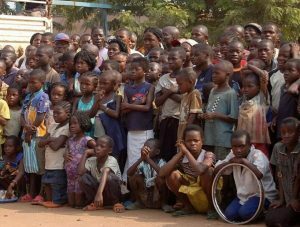 Data was collected by local Forcier enumerators in the provinces of Kinshasa and Haut-Katanga, as well as in camps for internally displaced persons in North-Kivu, thereby allowing for an analysis in urban, rural, and emergency contexts. In the province of Kinshasa and Haut-Katanga, both respondents living in areas impacted by the “Healthy Villages and Schools” program and respondents not living in these areas were interviewed, and, in all three provinces, both girls in school and out of school were interviewed. The results of this study will help NGOs, the Congolese government and UNICEF adapt their interventions so as to better respond to the menstrual hygiene needs of girls and women in the country. Forcier put forth a holistically designed mixed-methods approach for this research. In order to garner a broad understanding of the different barriers menstrual hygiene can represent for women, it was essential to collect information from the various groups of people who can influence how girls and women manage their menses. Forcier conducted 2601 quantitative surveys with 10 to 17 year old girls and their female guardians and 1022 quantitative surveys conducted with 10 to 17 year old boys. Forcier in addition, uses qualitative interviews to obtain contextual details and experiences of people with opinions that can shed light on hard to see implications. Qualitative interviews were conducted through the use of focus group discussions. 60 Focus Group discussions were conducted with girls, fathers of girls, teachers, community leaders and health practitioners. To ask questions to 10 to 15 year old girls in camps for displaced persons, an especially vulnerable population, child psychiatrists used dice game to make them more comfortable discussing these issues and to overcome taboos about menses. Analysis was conducted by triangulating the quantitative and qualitative data collected, as well as information garnered through a thorough literature review. The research was designed to allow for findings to be presented for the individual provinces in which data was collected as well as the country as a whole. The research, made up of 3623 quantitative interviews and 60 Focus Groups, identified the main obstacles preventing girls in the DRC from meeting their menstrual hygiene needs. Girls are unable to adequately manage their menstrual hygiene because of a lack of sufficient knowledge and understanding of menstruation in the country. Whether village leaders, educators, parents, or the girls themselves, many members of Congolese society are not properly informed on the causes of the menstrual cycle nor, critically, how to teach girls to manage their menses in a safe, private, and healthy manner. This is largely the result of a substantial taboo that surrounds menstruation, in part consequence of a conservative social order that associates the menstrual cycle with girls’ sexuality, and which impedes open discussion with girls both before, during, and after menstruation first begins. Additionally, poor infrastructure, especially in villages and schools – in particular, a lack of clean, girls-only and private bathrooms – prevents girls from adequately taking care of themselves when they have their menses. A lack of available and affordable tampons or sanitary napkins further complicates girls’ ability to ensure their menstrual hygiene, and adds to their fear of being seen in public at these times. As a result, girls often stay at home when they have their menses – sometimes days at a time – forgoing their usual activities, including sports, church, and, most crucially, school, for fear of being “discovered” and “shamed” by members of their community. The findings of this study are vital because they will allow Catholic Relief Services and other organizations working on hygiene, education and gender issues to better tackle the specific challenges that girls face in living in a healthy way and in receiving an education. Indeed, this research on menstrual hygiene management is one of the first of its kind, on a too often overlooked aspect of development that is crucial to understand for the sake of empowering women. 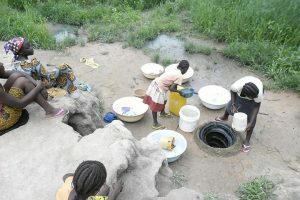 In particular, this research will help the Congolese government, along with UNICEF, reinforce the “Healthy Villages and Schools” program that seeks to improve sanitary and hygienic conditions in thousands of villages and schools across the country, including in camps for internally displaced persons, by highlighting the need to raise awareness on menstrual hygiene, improve infrastructure and make available sanitary napkins. This will, in turn, allow girls to live more comfortable, healthy lives and live up to their true potential. The need was to bring children’s needs to the world’s attention by letting children speak for themselves. Every year on the 20th of November, UNICEF celebrates the adoption of the Convention on the Rights of the Child through World’s Children Day. This is a very special day for UNICEF when the organization strives to get the world’s attention on the suffering millions of children across the globe experience and the criticalness of fighting for the rights of every child. UNICEF, United Nations agency for the protection and advancement of Children’s rights, works to improve the lives of children and their families. UNICEF’s daily work typically involves adults exchanging with other adults about children’s issues. 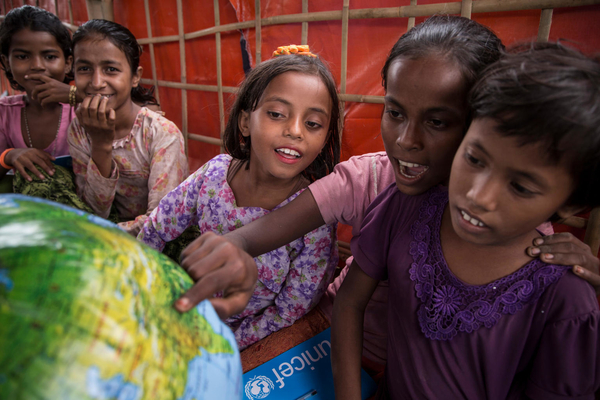 Despite being UNICEF’s ultimate stakeholders, children are rarely part of those conversations. For 2017 World’s Children Day, UNICEF’s goal was to give the world’s children a voice. The overarching objective was to see the world through their eyes: to hear their perspectives on the most pressing issues affecting children globally and in their home country, to understand their hopes for the world’s children, to hear what they would change if they were in charge. To put results in perspective, we also wanted to understand their world: who they admire (and are influenced by), whether they feel they are being heard and if so by whom and get their opinion on world leaders’ job at addressing children’s issues. This research is the product of the collaboration between UNICEF, Grey Advertising (the communications agency for the World’s Children Day) and Kantar’s Lightspeed Research: for the technical aspect of the research project. UNICEF and Lightspeed agreed on adopting a quantitative approach in the shape of an ad-hoc survey among children and teens aged 9 – 18 in 14 countries. This was the most adequate methodology given our goal of getting reliable quantified data on children’s views and opinions. Considering UNICEF’s global mandate, the aim was to run the study in as many countries as possible within the available budget, to ensure the widest geographical coverage and to include a mix of developed and developing countries. The study was complex on many levels, agreeing on the adequate sample age bracket, capturing responses from 12,950 respondents, utilizing translations to include their local language and following all ethical standards and ESOMAR’s guidelines on conducting research among children. To help capture spontaneous reactions and give children their own voice, open and closed-ended questions were utilized. We utilized descriptive statistical analysis to obtain children’s views to help paint a picture of the world through their eyes. The analysis was mainly kept at total eligible sample due to the lack of substantial differences identified through analysis of demographic sub-groups. Verbatim responses were left in raw format and used to get compelling quotes to bring the figures to life. What about if you were in charge of your country. What would you do differently to improve the lives of people your age? 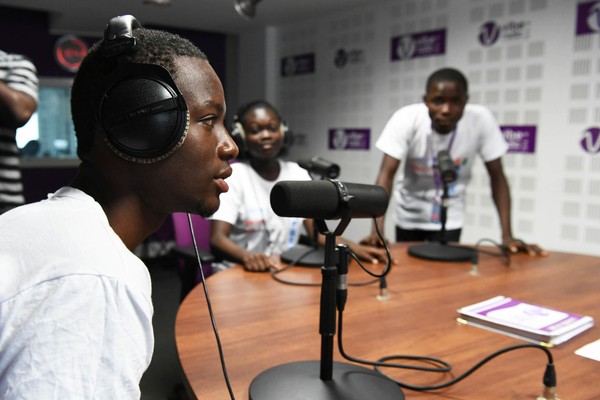 Results were analyzed at country and multi-country level given the goal to relay the children’s voice into media at country and global-levels. Finally, we brought external perspectives to the analysis, e.g. comparing children’s perception versus reality to adults. The research provided a multi-country perspective, across both developed and developing countries, on children’s concerns for themselves and for children across the world, their hopes, and their views on world leaders, but also on how they live their lives: what they do outside school or the personalities they admire. The verbatim to the open-ended questions also provided some very poignant statements from children in their own words, about what they would do if they were in charge, and issues they would address if they had a “super power”. “I like to get the magic pencil. Everything I draw will come true. The findings fed into press releases, media headlines and communications material that were shared and used at global and national level. The survey formed a key part of UNICEF’s media activity around World Children’s Day, which during the first 48 hours of launch garnered a high volume of mentions in online media outlets. It is often felt, at least at headquarters level, that for an organization whose mandate revolves around children, UNICEF does not listen directly to children enough and does not consult with them enough in the organization’s decisions. Traditional thinking suggested that since it takes adults to help children, it is adults’ opinion that mattered. The study was a reminder that UNICEF does not carry out opinion surveys among children often, and that the findings from such work are both highly valuable and compelling. Also, the decision to make ‘Access to quality education’ a focus of UNICEF’s advocacy in 2018, initially came from the survey findings which highlighted that this was one of the issues children cared most about. Children represent one of the most vulnerable groups in a society. They also represent a society’s future: future decision makers, leaders, consumers and employees. Despite the progress achieved in numerous areas, children continue to face high distressing situations across the world. This research is an attempt to give children a voice and make the rest of society aware of what children are concerned about, and what changes they would like to see so their opinions are also taken into account in the decisions being made. It is also a reminder to all to make sure we are talking to the right people. 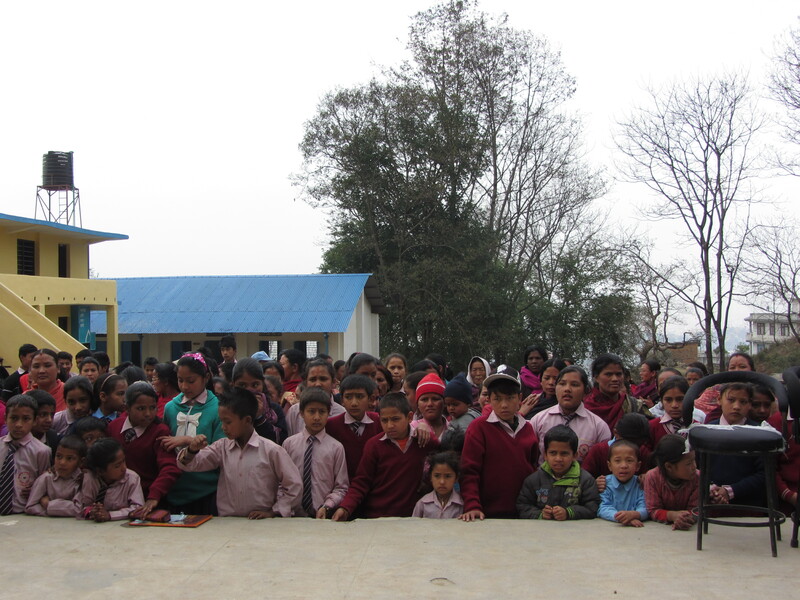 Kankali Secondary School (KSS) in Naikap, Nepal, is high up on the west side of Kathmandu valley in a very poor area. Started in 1982, its young Headmaster, Bishnu Paneru has helped build KSS into a high achieving Public Community School, with almost 400 students. KSS is now regarded as a model school in Kathmandu Valley. 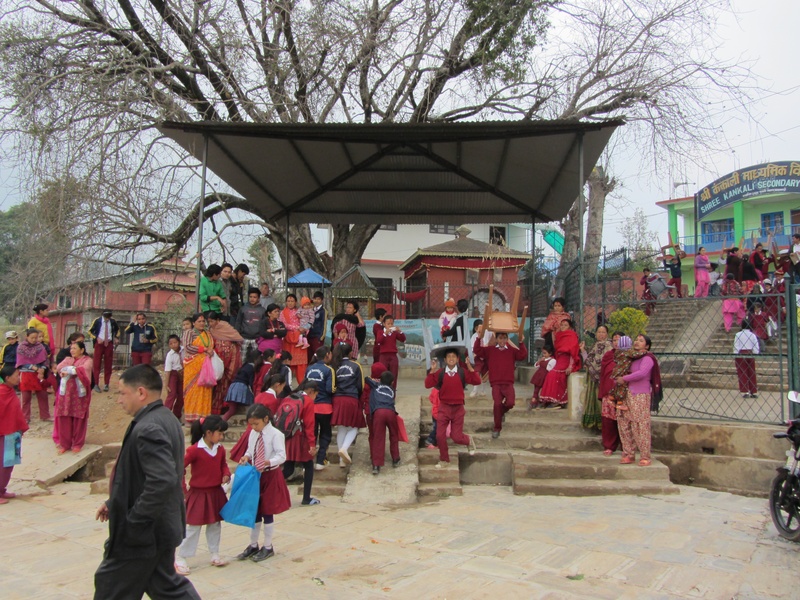 It also functioned as a support hub for the community after the earthquake in April 2015. The non-profit Association Luxembourg-Nepal (ALN), started to support the Kankali Secondary School in the 1990’s. Inspired by their work, André Linden, a retired Market Research Director from Soremartec (Ferrero) and ESOMAR member, who studied at Heidelberg University with Claudine Hengesch, the President of ALN, started to sponsor the KSS students, and the school itself from 1993. In 2013 Kankali Secondary School faced a decline in the number of students. The Nepalese newspapers were reporting an “unhealthy competition” in the Nepalese education system due to commercially-oriented Private schools. To be able to understand better the situation and find ways to support KSS, André Linden commissioned research with Simon Patterson and his team at QRi Consulting. Desk Research. QRi conducted Desk Research sourcing relevant reports from UNESCO, World Bank, UN Development Programme, USAID, and education conference papers. The findings were written into a 120-page draft report; “Understanding the Nepalese education system today – Looking for sustainable opportunities for development of Kankali Secondary School in Kathmandu Valley”. Qualitative field trip inspired by cultural anthropology. Simon and André organized a visit to Kathmandu in March 2014 to see for themselves the differences in quality standards, in all respects, between Private and Public schools. Together with a group of Headmasters, they visited 9 schools, including KSS, and conducted interviews with the Directors of each school. In addition, a meeting was held with the District Education Officer (DEO) of Kathmandu, during which the draft report was reviewed. Everything was documented with video, audio recording, and photographs. Field Analysis and Report. 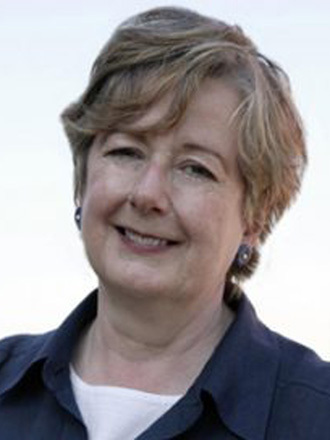 Once back, QRi completed the report, integrating the findings from the field trip, all the input received in Nepal, as well as input from Associate Professor Martha Cardell (Edinburgh University), whose papers on the subject had been recommended by the DEO, and who, during a subsequent mail exchange, underlined its importance for the community. In July 2014, the final report was sent to all participants and stakeholders. The Desk Research confirmed to Headmaster Paneru and his colleagues the value and importance of Public Community Schools. It also highlighted that boys’ education is given priority by the Nepalese Society. Boys tend to be sent to Private schools (at high cost), and girls, by default, are sent to Public schools in Nepal. The field trip enabled us to understand in concrete terms the competition that Public schools were experiencing. We also heard first-hand the high potential of the female students. At a debriefing with the headmasters, everybody agreed “Girls are the hidden treasure of Nepal’s Public secondary schools”. Whilst visiting one particular Public school the issue of girls’ safety and attendance came up. Then, as the discussion developed, we became aware that the girls’ toilets were rather basic, and the Headmaster disclosed that the girls had in fact been increasingly complaining about them. The existing toilets were only able to facilitate communal urination, with no cabins and no privacy. Defecation had to be done in the woods (part of the general Open Defecation problem in the region). The poor facilities also meant that girls tended to stay home during their monthly cycle, thus missing classes. This issue had not emerged through the desk research and had not been openly discussed before. This moment of truth had been made possible by the atmosphere of openness and trust that we encouraged as we toured the schools with the Headmasters, in a research setting. 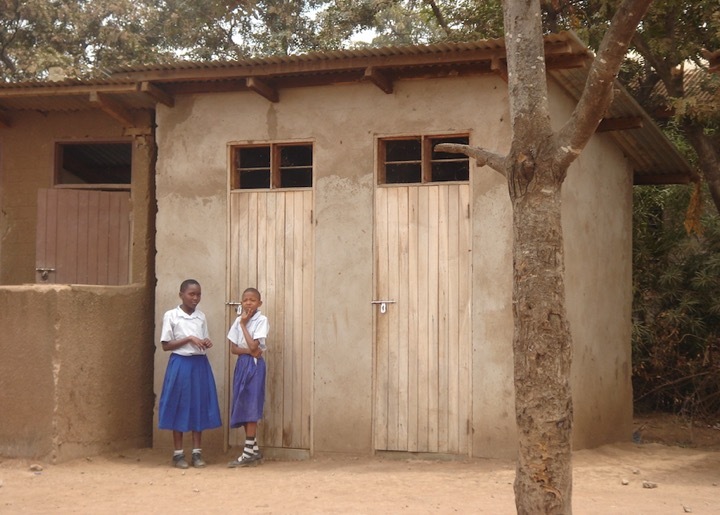 The key difference this research made in human terms was the building of Girl-Friendly Toilets first at KSS’s sister school, Janabikas Secondary School, in 2015, then at KSS in 2017. Another impact of this innovative research, resulting in the building of Girl-Friendly Toilets in two Secondary Schools in Kathmandu Valley, is that two other Luxembourg NGO’s active in the region have asked ALN for detailed information, studying it as a model for their own school projects. We believe this case to be a significant example of where Qualitative Research has really made a difference relevant for society and NGO’s.